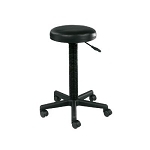 Get right up to your easel comfortably with this painter's stool. 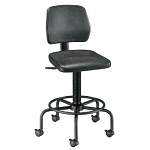 An extremely comfortable and rugged Euro-style stool that features a 13"w x 9"d x 4"h soft back polyurethane seat with lower back support, synchro-tilt mechanism and height adjustment from 21" to 30". Tilts 6° forward and 7° back. 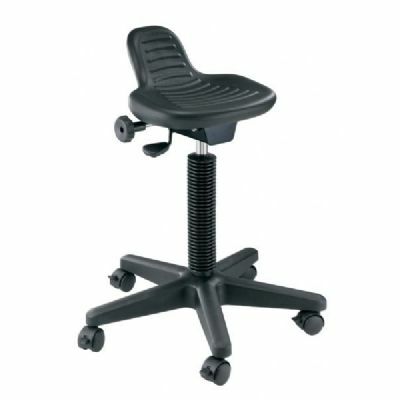 Height and tilt can both be easily adjusted while seated. Great to use while working on large easel paintings, canvas projects, framing, drafting, filing and much more. 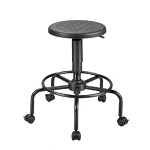 The reinforced nylon base is 24" in diameter and comes complete with a set of locking casters and a set of non-slip floor glides.